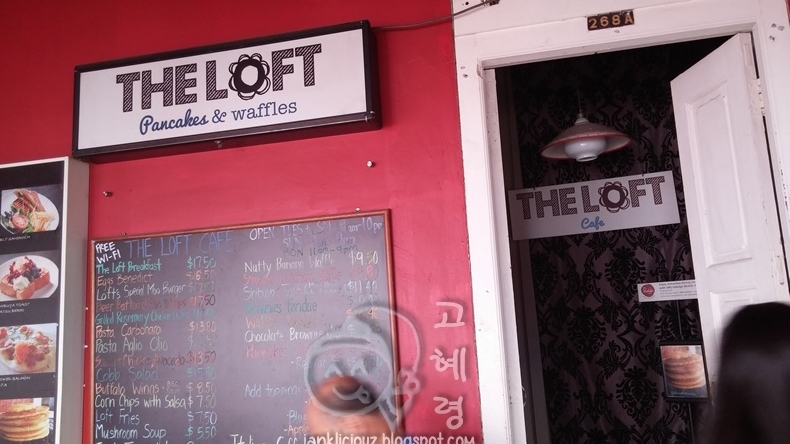 About a few months back, I had visited The Loft Cafe, located in Chinatown, in hopes of having a great meal to brighten my day. It was a sweltering hot day. I was in the mood for some brunch and my bestie was thinking of having the pasta. 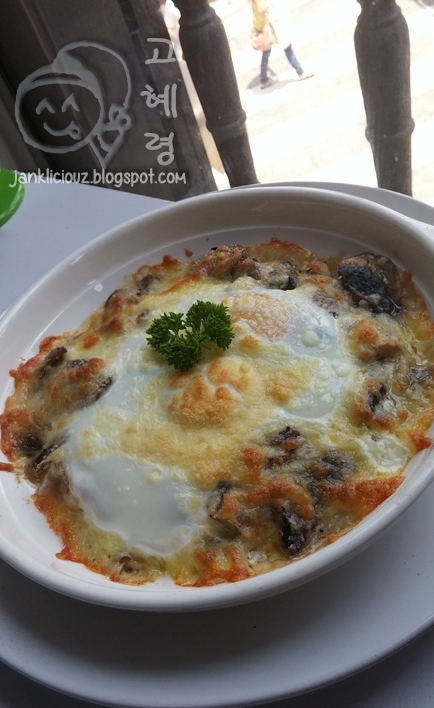 With eggs & Mushrooms baked with parmesan cheese, this dish was really sinful and oily. But oily as it was, they were really generous on the mushrooms and the egg was a lovely sunny side egg with its whites nicely embedded together with the cheese. It also comes with a choice of short stack pancakes or toast. 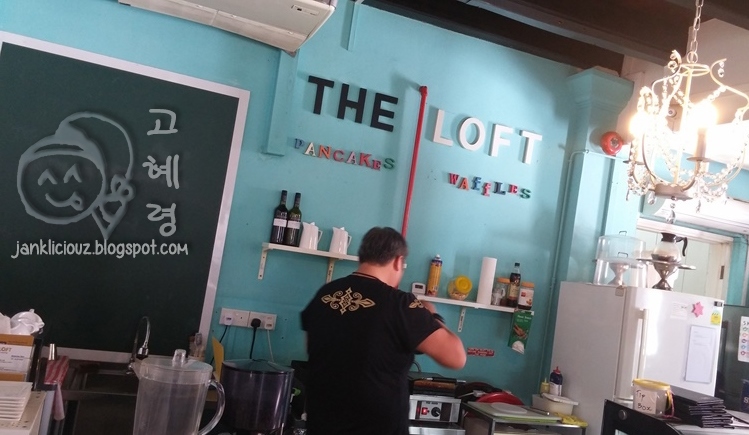 Since their signature were the pancakes and waffles, I decided to try the pancakes as I'm certain they would be using the same batter for the rest of the pancake dishes. Served with butter and maple syrup on the side, the pancakes were fluffy, but were average tasting. 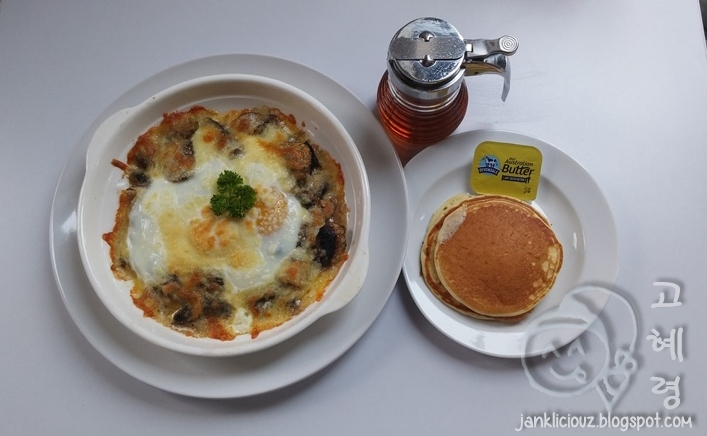 I liked it better when I put some cheesy mushrooms on top of the pancakes to enhance its overall flavour. I also asked them to add an extra side of bacon ($2), but they forgot to serve it. The use of the Angel Hair Pasta actually helped ease the heaviness of the dish a little, as the dish would have really gone over-the-top heavy with other types of pasta. 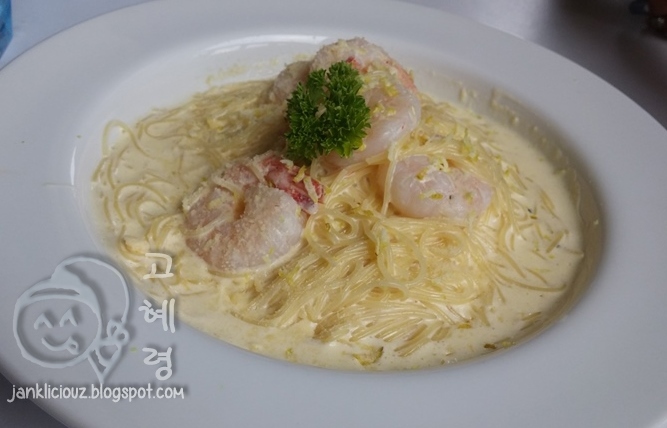 I loved the angel hair pasta, but the sauce was still overwhelmingly creamy. My friend didn't enjoy the taste of the lemon and pasta together. Summer berry compote served on top of Japanese styled French toast with vanilla ice cream (supposedly) and whipped cream. They forgot to put include the vanilla ice cream. How could they have forgotten? Sigh. To be honest, I also forgot about the vanilla ice-cream until after we finished the dessert and left. 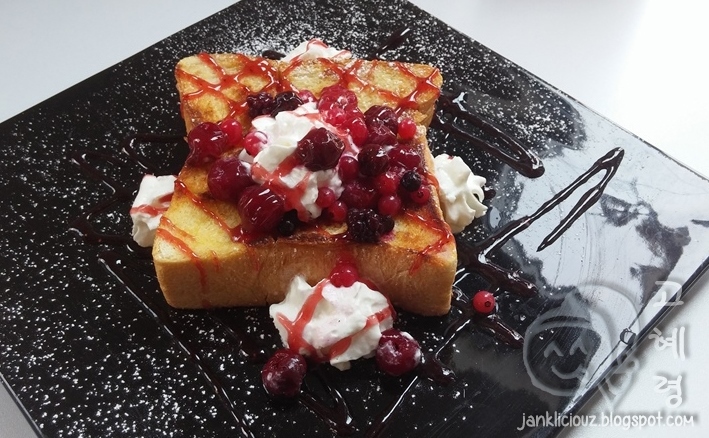 So I won't be commenting on the vanilla ice-cream part but I do think that the Japanese styled french toast was alright, when eaten with the berry compote and whipped cream. Unfortunately, the day which I had visited wasn't a good day for them as they were shorthanded (even with little patrons). While the staff remained very polite and apologetic about my visit and long wait for the food (the wait was more than 30 minutes), forgetting to put in the vanilla ice cream as one of the main ingredients in their desserts remain the most disappointing. The best bit: The counter staff's service, and the Tuscan baked eggs. The worse bit: Like an experience gone wrong, the sad experience outweighed the good. The environment (aircon was down), the forgotten ordered items, the extremely long waiting time despite very little patrons at the cafe. LINE X 313@Somerset Mall: Singapore Pop-up style!